With Play-Doh Kitchen Creations, the best ingredient of all is imagination! 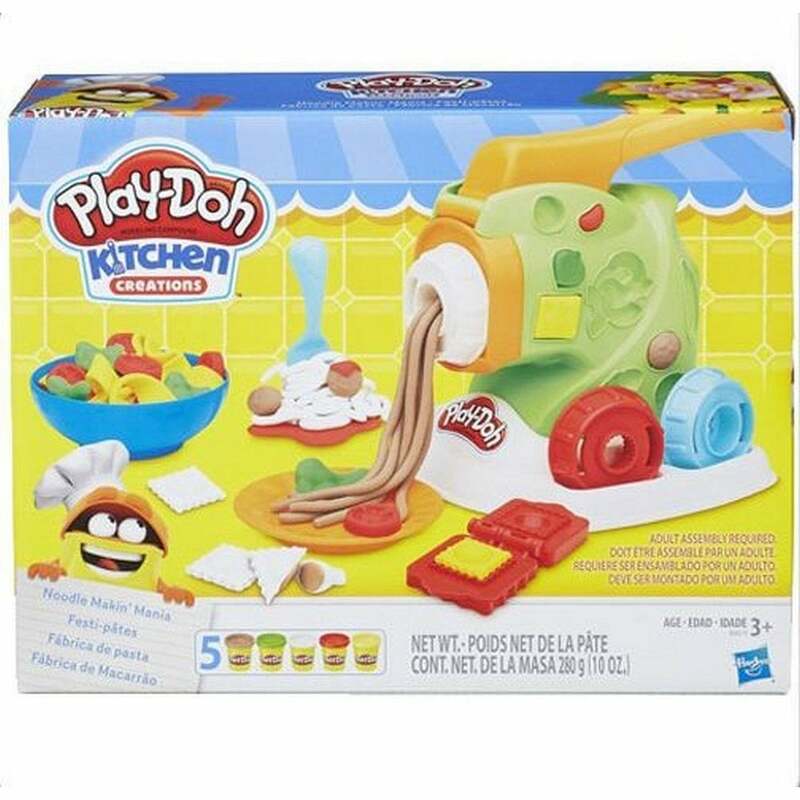 From pretend pasta to imaginary ramen bowls, this noodle maker can create all kinds of delightful Play-Doh noodle dishes. Simply choose a disc to change the shape, load some Play-Doh compound into the noodle maker, then press the handle to squeeze oodles of silly noodles! Add replica raviolis and pretend lasagne to the menu with the book-mould and cutter. There are also moulds for make-believe macaroni and cheese and fun toppings. When they're ready, show off the Play-Doh noodle masterpieces with the plates!